Planning your wedding is such an exciting time and choosing a wedding venue is one of the biggest decisions you will need to make. Many couples can get caught up in the emotion and excitement of finding a dream venue that looks amazing, without thinking about the practicalities of their big day. Here are the main things to consider when choosing your wedding venue. When you visit a venue one of the first questions they will ask you is how many guests you will be expecting. You don’t need to have a full guest list at this stage but you do need an idea of numbers. Most venues offer different capacities for a seated meal or a standing cocktail reception so you will also need to decide on the format you would like. As the wedding reception is the most expensive part of your day it is important to find a venue that offers one within your budget. But what if you have found your dream venue but it stretches beyond your reach? Well, there are ways to try and secure that perfect venue. The venue may offer discounts for getting married on a weekday or in winter months, or you could consider a cocktail style reception to help bring the costs down. Some couples sacrifice on their guest list in order to have the perfect venue for their day. This is an important thing to consider as it can have practical implications for your guests. Are you happy to have your wedding reception in your local city that is easy for most of your guests to get to? Or would you prefer a tropical getaway with a destination wedding? 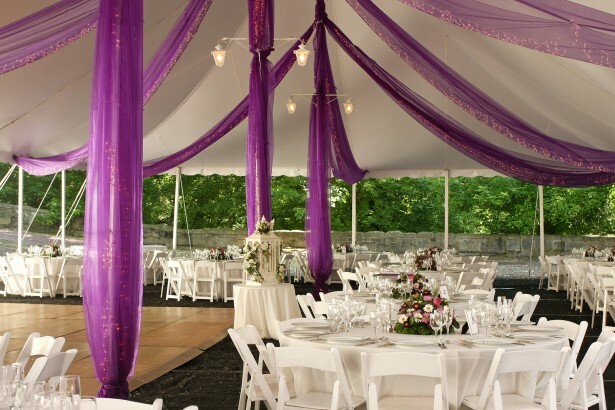 It is important to decide on the style and personality of your wedding before you decide on a venue. It will be difficult to achieve a modern minimalist wedding in a rustic country winery for example. Choose your style first and then find a venue to match. Once you have made these important decisions and have a shortlist of venues you want to visit, there will be lots of other practical things to consider and questions to ask the wedding coordinator. Check out our list of questions to ask when choosing a venue. Visit our venues page to see which venues are available for your special day. Do you have any other tips for how to pick a reception venue? How did you choose your wedding venue? Please leave your thoughts in the comments below.